In most areas, a plumber must have several years of hands-on experience before she can become fully licensed. Licensed plumbers must be familiar with local building codes. Licensed plumbers have usually served as apprentices under more experienced tradesmen. 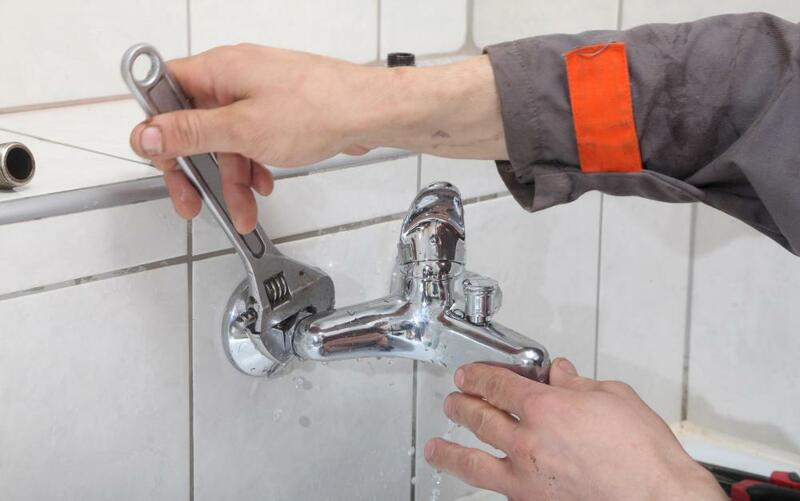 Whether fixing a leaky faucet, unclogging a drain, or installing plumbing fixtures within a building, a licensed plumber is responsible for a variety of tasks. Plumbers install and make repairs to plumbing fixtures in both homes and other buildings. They also make sure that those same fixtures work efficiently. A licensed plumber must be knowledgeable of local building codes so he or she can take the necessary steps to perform repairs and installations. He or she needs to know proper safety procedures to avoid accidents while performing typical plumbing jobs. A person who wishes to become a licensed plumber attends a community college, career school, or vocational school to receive training. Most schools require that an aspiring licensed plumber be at least 18 years old and possess a high school diploma or GED. Plumbing students are often required to enroll in an apprenticeship program that lasts between four and five years. People who are accepted into a plumbing apprenticeship program train under the supervision of a licensed plumber in addition to taking courses related to the career. For example, plumbing students will take classes that teach them how to read blueprints. They will take mathematics courses and subjects relating to safety and building codes and regulations. Under the tutelage of a professional plumber, students will learn how to install and repair plumbing fixtures. They also learn how to clean and maintain the equipment they use on a daily basis. After completion of an apprenticeship, most states require that plumbers pass an examination to become a licensed plumber. Licensed plumbers must be unafraid of heights, since they often need to climb ladders. Plumbers should also be able to work in confined spaces, so claustrophobics would do well to avoid a career in plumbing. Those who become licensed plumbers must be prepared to work in a wide range of climate conditions, as plumbers work both inside buildings and outdoors. Plumbers should be in good physical condition as well. This is because they usually have to lift heavy equipment throughout the course of their duties. A licensed plumber is a trained professional who is knowledgeable about the installation, maintenance, and repair of plumbing fixtures. He or she must possess a varied skill set. Not only must the plumber be an expert at caring for plumbing fixtures, but the plumber must also know how to read blueprints. Anyone who becomes a plumber should know how to apply building codes and regulations. He or she should also be comfortable with performing mathematical calculations. A licensed plumber needs to keep detailed records about completed jobs and estimate cost of labor he or she will perform for customers. Those who wish to advance in this career field have the option of opening their own plumbing businesses and hiring employees to work for them. 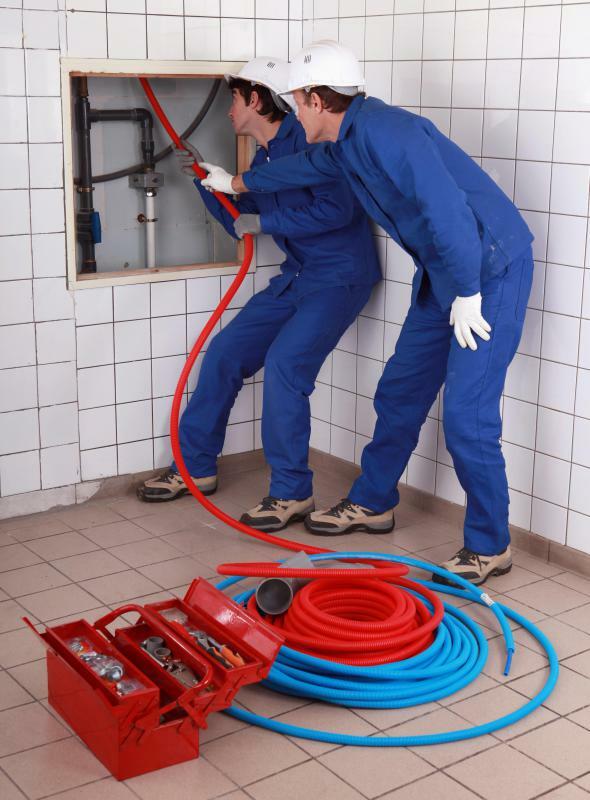 What are the Different Types of Plumber Services? What is a Plumber Apprenticeship? What Factors Contribute to Plumber Wages?